Direct Air Capture’s high cost means close ties with the oil industry are its most likely path to adoption. 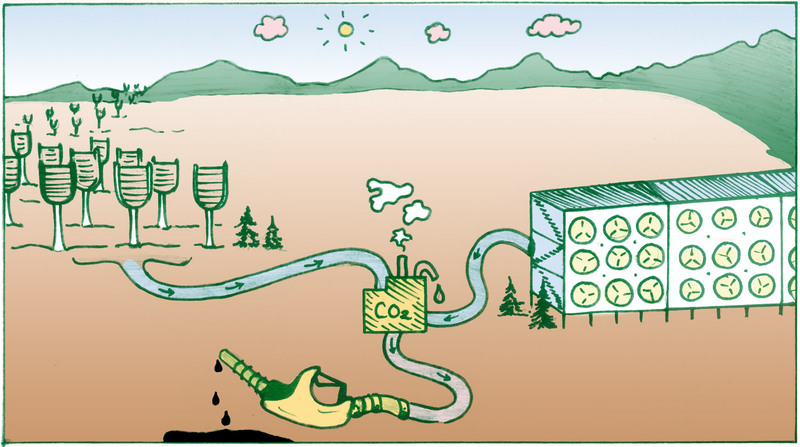 Direct Air Capture (DAC) is a largely theoretical technique in which CO2 (and potentially other greenhouse gases) are removed directly from the atmosphere. The current technique uses large fans that move ambient air through a filter, using a chemical adsorbent to produce a pure CO2 stream that could be stored. To have any significant effect on global CO2 concentrations, DAC would need to be rolled out on a vast scale, raising serious questions about the energy it requires, the levels of water usage for particular technologies, and the toxicity impacts from the chemical sorbents used. In addition, safe and long-term CO2 storage cannot be guaranteed, either in geological formations where leakage is a risk (see CCS factsheet1) or in products using CO2, where carbon is likely to end up back in the atmosphere one way or another (see CCUS factsheet2). The fossil fuel industry is attracted to DAC because the captured CO2 can be used to for Enhanced Oil Recovery (EOR), especially where there is not enough commercial CO2 available locally. 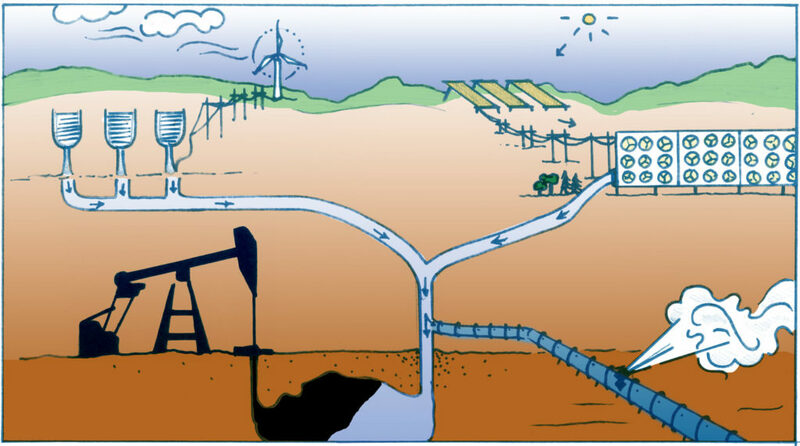 Direct Air Capture would be likely be used for Enhanced Oil Recovery, and would incur significant energy costs and divert resources from alternative energy sources. There would also be a significant risk of the CO2 leaking back into the atmosphere, potentially causing ecological damage. DAC requires considerable energy input. When including energy inputs for mining, processing, transport and injection, energy requirements are greater still, perhaps as much as 45 gigajoules per tonne of CO2 extracted.15 For David Keith’s pilot DAC unit, this is the equivalent of running it off a constant 0.5 megawatt power supply.16 Neither Climateworks nor Carbon Engineering publish the energy requirements of their units, and in the case of Carbon Engineering, it is not known how the electricity powering the unit is produced. Because of the huge demand for energy that DAC implies, some geoengineering promoters have proposed to use “small nuclear power plants” connected to DAC installations, 17 potentially introducing a whole new set of environmental impacts. DAC also requires substantial water input. One study estimates that at implementation levels that would remove 3.3 gigatonnes of carbon per year, DAC could expect to use around 300 km3 of water per year (assuming current amine technology, which is what Climeworks uses). This is equivalent to 4% of the water used for crop cultivation each year. DAC technologies using sodium hydroxide (Carbon Engineering) would use far less,18 but this in turn is a highly caustic and dangerous substance. A modelling exercise looking at the impact of DAC on climate stabilization efforts predicted that it would postpone the timing of mitigation (emissions reductions) and allow for a prolonged use of oil, impacting positively on energy exporting countries.19 This is of course similar for many geoengineering technologies and one of their most dangerous aspects. 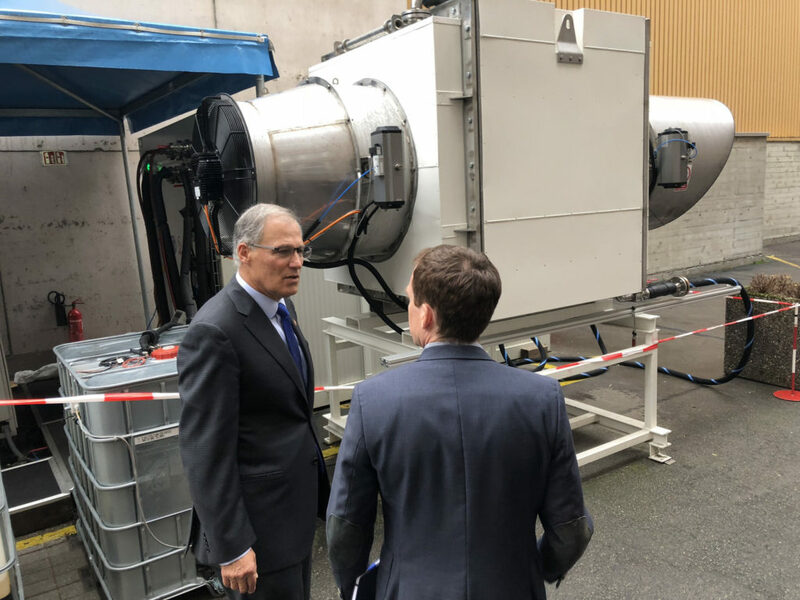 There is one demonstration facility near Zurich owned by Climeworks,20 and another by the same company in Iceland.21 Carbon Engineering also operates a pilot plant in British Columbia.22 In addition there are several companies that have developed small-scale capture units, with numerous research projects also underway. 1. See Geoengineering Monitor, “Carbon Capture and Storage,” Technology Fact Sheet, April 2018. 2. See Geoengineering Monitor, “Carbon Capture, Use and Storage,” Technology Fact Sheet, April 2018.